A very good year in South Australia, where the cooler than normal summer was followed by a period of intense autumnal heat, with temperatures in excess of 40 degrees centigrade. The Barossa Valley produced exceptional wines (particularly the Shiraz-based ones) while Coonawarra enjoyed its best vintage since 1990. Drought conditions prevailed in Victoria and harvesting began very early, with abnormally high mid-summer temperatures accelerating development. The harvest took place in ideal conditions and concentrated wines with excellent ageing potential have been produced. Some excellent wines were produced in Western Australia, even though there was some rain during the harvest in Margaret River and the Great Southern. "Highly perfumed and concentrated wine with sweet, cherry/plum/liquorice aromas and vanillin oak. 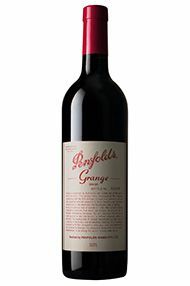 Rich, multi-layered palate with opulent plum and chocolate-like flavours. Sweetness of fruit combines with well-balanced, fine grain tannins, resulting in a wine with excellent structure and generosity of flavour."